This is going to be another repeat of My Darling is a Foreigner. Instead, I was pleasantly surprised. Go ahead, call me a wimp, but after I researched the show and actually watched a few episodes—I was holding back tears. When I read the synopsis for this story, I thought to myself: This is BS, no foreign woman from the early 1900s would marry a Japanese man and run off to Japan. But my god, she really did. You know Suntory whiskey? Japan can thank Masataka Taketsuru (Massan in the drama) for the gem that is Suntory Whiskey. Taketsuru-san’s life was changed forever after his first sip of whiskey in Japan. He boarded a boat in the early 1900s, sailed the seas to Scotland, and learned how to brew quality whiskey while snagging a hot Scottish babe, Rita Cowan (Ellie in the drama). Since he was too poor to afford rent, he rented out a room in the Cowan household and taught the family Judo. I guess he woo’d Rita with all of his martial arts moves, because he was able to convince her to get on a boat and leave Scotland forever and move to Japan in 1920. I want to make great Scottish whiskey in Japan, he told her, and she said “and I’ll be there to support you.” Both families opposed the marriage. After successfully helping Japan launch its whiskey industry (aka Suntory), he and Rita moved from Osaka to Yoichi in Hokkaido because the terrain was similar to Rita’s homeland of Scotland. They started a new whiskey distillery there called Nissa, and lived out the rest of their years in Hokkaido. Using the last of her inheritance, Rita opened a children’s nursery in Hokkaido. Rita passed away in 1960 and was buried with her husband. In that small town of Yoichi you can find a street in remembrance of Rita Cowan. You can still walk down “Rita Road” in Yoichi today. For more background, check out a recent article by The Guardian about their trials and tribulations. AMWF: In other words, the very small community of “Asian Male White Female” relationships. As it is heatedly debated on the net, the AMWF circle is small. While we see many white males dating Asian females, we rarely see the opposite. I can count on my fingers how many AMWF relationships I have seen in both China and Japan. In other words, we stick out. In Asia I was used to having fingers pointed at me or hearing the words “foreigner foreigner!” shouted at me. But if I was walking arm-in-arm with an Asian man? It felt like the whole country stopped to stare. International relationships have a slew of problems, and dealing with my past Asian boyfriends and family was, to put bluntly, traumatizing. The disapproving parents, the cultural clashes, the feeling of being thrown into a pool of water and expected to swim, constantly asking myself: what should I do, what should I say, what will they think? And to imagine that Rita (Ellie in the show) went through all of this back in the early 1900s is absolute madness. 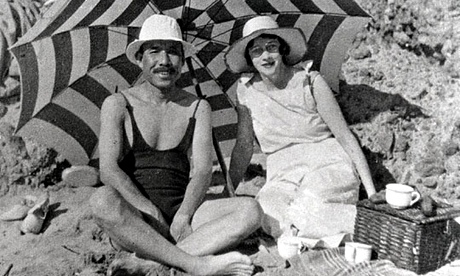 I can barely handle living in Japan in the 21st century, but living relocating there permanently in 1920s with a Japanese husband? People were still wearing kimonos then. At that time I bet most of Japan never heard of Scotland, much less seen a foreigner. She said goodbye to her entire life in Scotland, never looked back, and strode forward with her husband until the very end in Hokkaido. 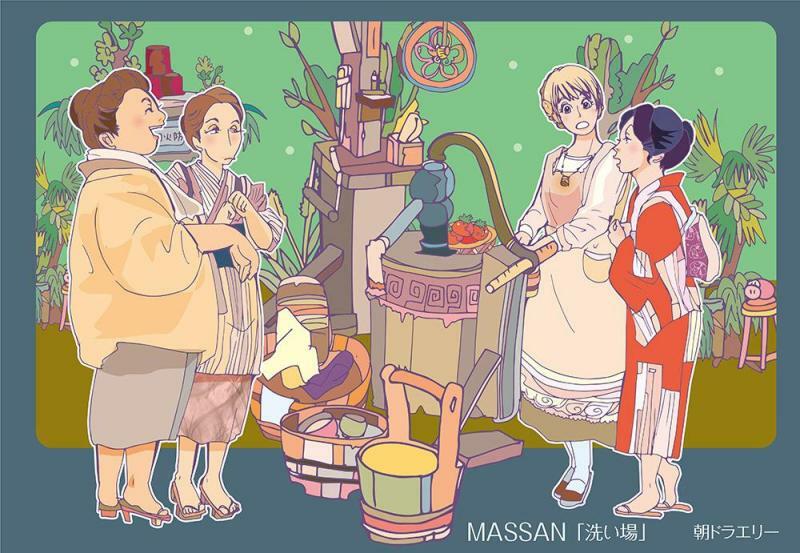 Sure, the foreign stereotypes in Massan run rampant—but it was the Taisho era, and I’m quite positive that back then foreigners had yet to use chopsticks and were completely blown away by the concept of taking shoes off before entering a home. The director chose an American actress that speaks zero Japanese to play Ellie in the drama. While picking a fluent ex-pat seems like the better decision, I think the choice in picking a complete ‘newb’ was the right one. She’s struggling with the language. Her Japanese sounds funny. 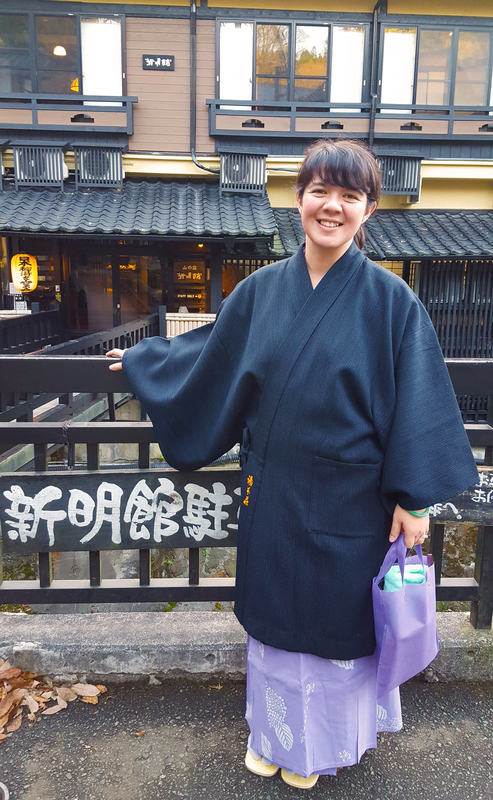 Everything about Japan is alien and unfamiliar–yet she dives in head first with a smile and embraces the opportunity. In Ellie, I see a woman charging blindly forward into a foreign country in order to better understand the man she loves. I see her struggling to deal with her in-laws. I see her walking on eggshells and treading dangerous waters in order to be accepted, yet is rejected time and again. I see her raw and honest passion to support her husband and his dream, and he also reciprocating that love. In Ellie, I see myself. But Massan is a rare, and most importantly true story about how love can really overcome cultural boundaries and flourish. 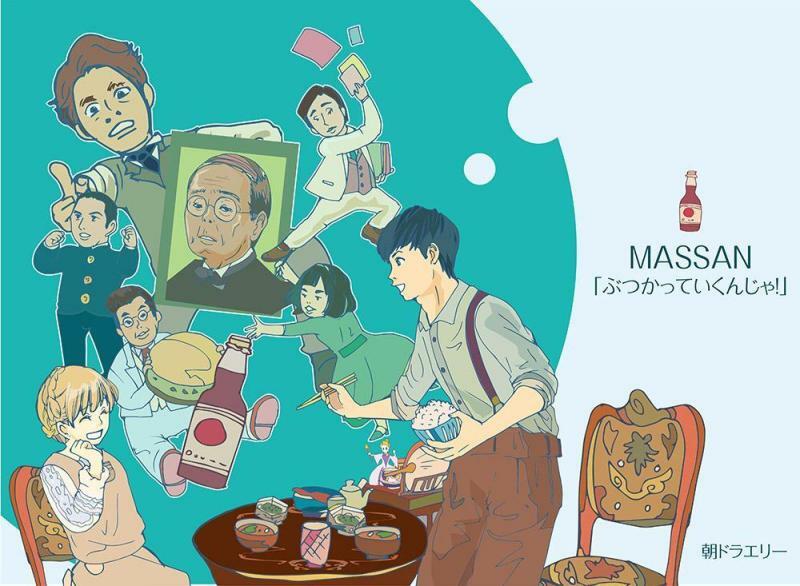 I have no idea where you can find Massan, but if you would like to find out more information about the show you can visit the show’s Japanese homepage here. Massan is NHK’s latest ongoing morning show broadcast everyday for 15 minutes. Hey! I was wondering, what aspects of yourself do you see yourself in Ellie? At least from my view and without having seen the show, I’m not sure if I see the similarities between you and Ellie, as a) you have more of a initial connection to Asia/Japan than she appears to have (both in terms of study and background), b) I don’t think biracial people, while acknowledging they come from a variety of backgrounds and can look very different (like everyone else! ), should be categorised as being monoracial for the purposes of interracial relationships, and c) you didn’t move to Japan, not knowing any Japanese, to be with a boy. But I am probably missing something. speak soon! I see myself in Ellie through her fumbling in the Japanese dating world. Of course what brought us to Japan was completely different (I was thoroughly interested in the country, she went for a man), but when it comes to dating a local I can feel her pain. I didn’t talk about it much on my blog post but in the show she’s constantly trying to remember Japanese lines and phrases that are just imperative to say in certain situations (like, つまらないものですがどうぞ宜しくお願い致します） and mentally struggling with what barriers she can and cannot cross (i.e. what to say to her parents-in-law). She’s in this foreign country, forced to sit in front of her in-laws and try to understand what’s going on–and with a big, dumb grin on her face. When I met my ex’s parents in Korea it was very similar. I didn’t know what was going on around me and I was unsure as to what was polite/impolite in Korea and felt like I was wandering through a field of landmines. As for Asian parents, mothers are extra harsh on who their ‘beloved son’ can marry so I felt like all of my movements were being monitored and judged by the the parents. Although meeting the parents in any relationship is stressful, doing it in a completely different culture is double the trouble (esp in Asian cultures, you have to buy gifts or give hongbao etc.. so much to go through). In the drama they make Ellie WAY too dramatic and foreign (hugging people, shouting to everyone she loves her husband, unable to stand after seiza, etc..) which no person with common sense would do. But seeing her trying to pick up on Japanese culture in order to look like a good wife to her husband’s parents made me think of my former relationships. Sorry! I rant rant ranted haha. And although I am ‘biracial,’ I still consider my relationships interracial. In my head, my relationship is a big interracial mix of Chinese, Irish, American and Vietnamese, haha. Oh wow, what a story!! And I love that picture of them in the beach haha. I read the comic book of My darling is a foreigner but I haven’t watched the movie, is it very bad? Yeah I wasn’t a huge fan of the movie (or the comic books), but it’s still a great insight into interracial dating. OMG what a story!!! hugs all the way from Praia da Rocha! im a Hafu half japanese and half french creole and french, i dated a japanese american guy before,i wonder how it is to be hafu and dating japanese men from japan? Thank you for this! I am married to a Chinese man and sometimes pity myself for living in a world that doesn’t understand AMWF couples! To know someone else going through it and that period in time is admirable and amazing. I can also count the amount of white girls with asian guys I’ve seen on my hands. I’ve been to china many times but I’ve probably only seen 6 or 7. I hear ya. Even when I lived in China I found it hard to find fellow AMWF friends. When I finally met a girl who was into Asian guys I could hardly believe it (and of course, we became friends instantly). Here in the states I don’t know anyone nearby that is non-Asian dating an Asian man, but a lot of my coworkers (hispanic, white, etc..) are actually very into Korean pop stars and other Asian guys. I think times are changing! But yes, we are a rare breed!